For those of you who like LED watches by Tokyoflash however cannot exactly find out how to tell time on them, the Guru Watch is the perfect choice. 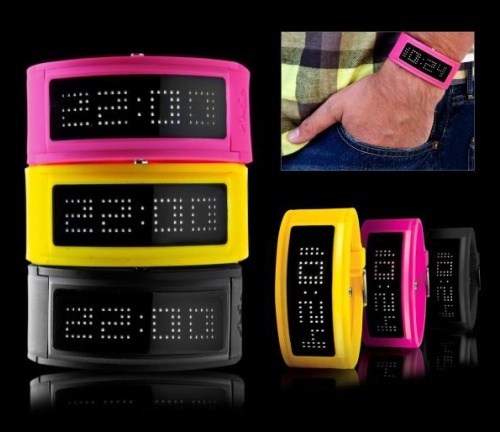 This cool waterproof LED watch is a project of Black Dice. 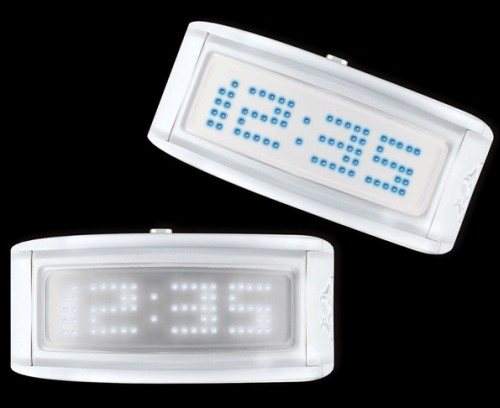 The thing I like about it is that it tells time using LEDs – so it’s also great for those who are sick & tired of traditional hand-watch designs. The Guru Watch has a one-of-a-kind look; on the other hand, it functions much like any other model by letting its user set the date & program alarms. As I mentioned, it’s waterproof (up to 50 m) and can also be easily programmed to display a custom message, but with a ten character limit (unfortunately – I hate limits!). 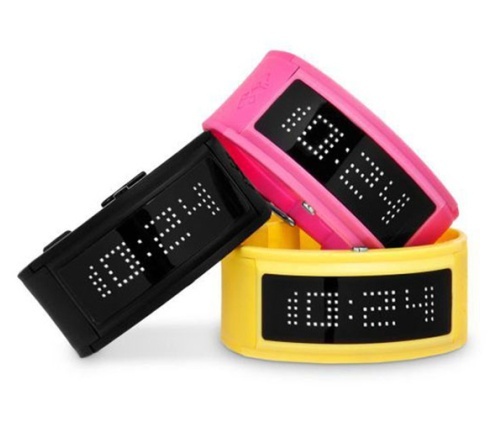 Waterproof LED watches are becoming increasingly more popular and creative designers have begun to take action. So don’t act all surprised to see LED watches surpass not only mechanical, but digital watches as well within the next decade. And of course, do not act all surprised if you are all sporting this watch in the next several years.